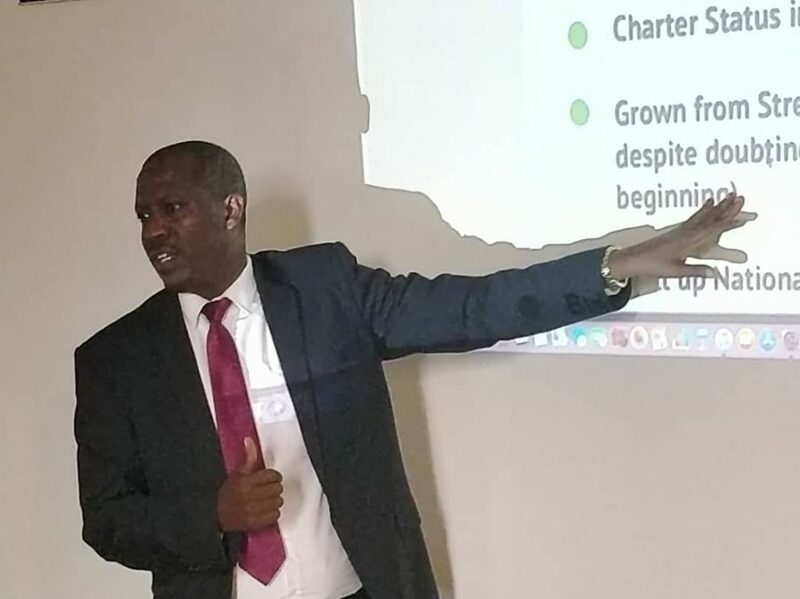 Following an article that appeared in Daily Monitor, a local newspaper, with a headline reading “Government probes KIU degrees”, the Kampala International University (KIU) Vice chancellor Dr Mouhamad Mpezamihingo held a press conference last Friday September 28th to clear the air. According to Dr Mpezamihingo, the said story is not true as he assured the public that he communicated to National Council for Higher Education regarding the matter and the officials wrote back. “What I did as the Vice Chancellor, I immediately wrote a letter to the National Council for Higher Education ( to the Executive Director) complaining on what the newspaper had published. 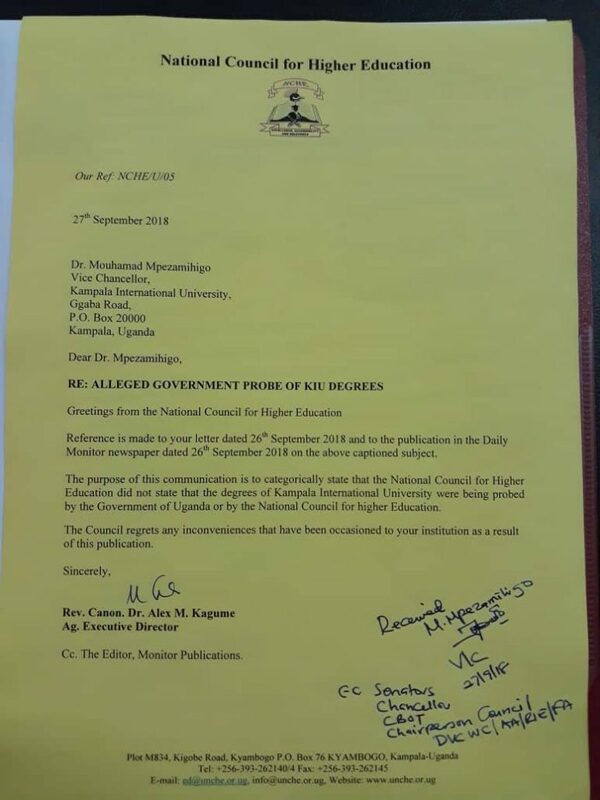 The Executive Director replied to this letter saying that both the NCHE and Government of Uganda are not doing any probe allegations towards KIU degrees, they apologize for this information.” Mpezamihingo said. 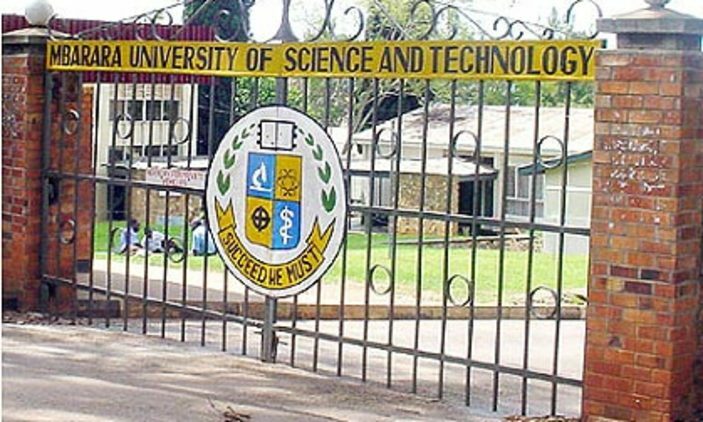 Dr Mpezamihingo went ahead to reveal that in a bid to protect their reputation, the Kansanga-based university is in preparations of taking the matter to the courts of law. “It is not correct information and for the institution, we are making sure that both the University Law Council and Board of Trustees proceed with this. We shall not sleep down on this, we are going to follow the law.” Mpezamihingo vowed. Dr. Mpezamihigo appealed to the media houses to always conceive the truth from the real source before publication. “It is not a privilege for us to keep such information which is damaging our name, but my suggestion: if anyone fall on such information, before any proceedings made please first attend to us and we clarify that information. When you write without first consulting from us, you are not only spoiling the name for the university but also; the students, lecturers and other staff members’ names.” He advised. 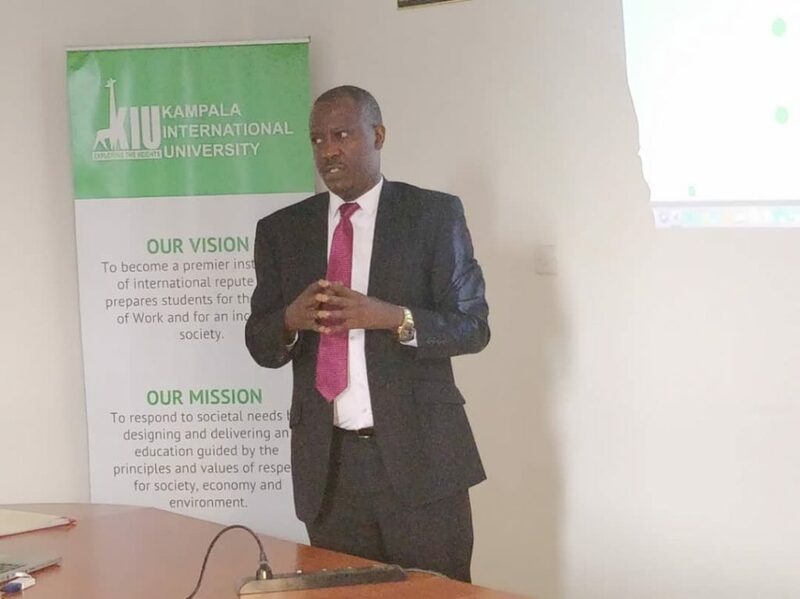 According to Dr. Mpezamihigo , all courses taught at KIU are accredited and the lecturers who teach them are both Ugandan and international with qualified masters degrees and PhDs.